Seat fitting is the single most important weight adjustment on the kart and is done before weight distribution analysis. Perfect seat placement may result in almost perfect weight distribution before any weight is even added to the kart. WildKart provides a set of specifications for seat placement that should be followed as closely as possible. Seat fitting is the single most important weight adjustment on the kart and is done before weight distribution analysis. Perfect seat placement may result in almost perfect weight distribution before any weight is even added to the kart. WildKart provides a set of specifications for seat placement that should be followed as closely as possible. Seat fitting is without doubt one of the most time consuming jobs on the kart. Accurately positioning a seat is difficult when you take into account the varying shapes, sizes and driver seating preferences. 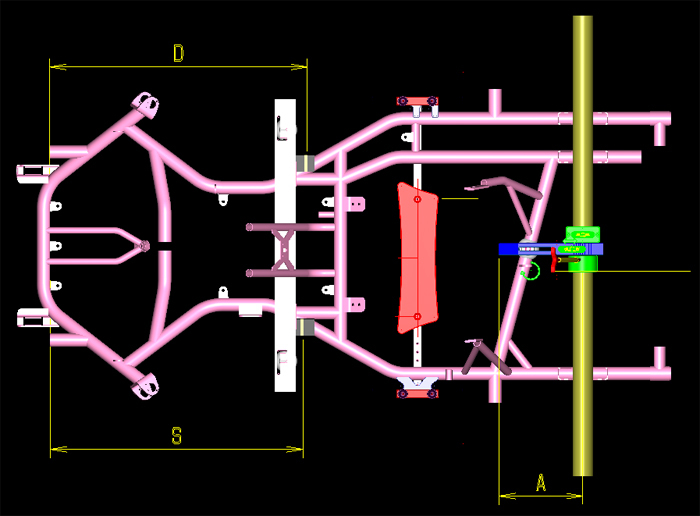 The WildKart Seat Fitting Tool gives an accurate way of understanding where your seat is positioned in relation to the rear axle. Please feel free to contact us for any kind of information in the contacts section. We encourage you to browse WildKart weblink section or submit your link.